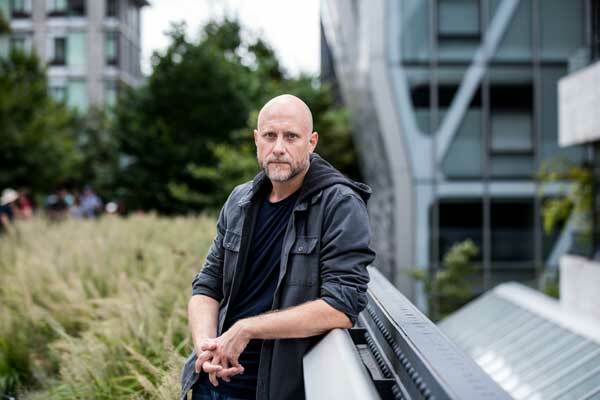 CHICAGO– The John D. and Catherine T. MacArthur Foundation has named Trevor Paglen, an alum of the School of the Art Institute of Chicago (SAIC), as one of its 24 MacArthur fellows for 2017. Paglen is a conceptual artist and geographer whose work makes the invisible operations of military and corporate power visible to everyday citizens. He received his Master of Fine Arts (MFA) at SAIC in 2002. Every year the MacArthur Fellows Program provides unrestricted fellowships to individuals doing transformative work across a wide range of disciplines. Paglen has photographed secret prisons and military bases, documented classified satellites that orbit our planet, and photographed the underwater fiber optic cables that enable Internet connection across the continents. In addition to his images, Paglen has written essays elaborating on the societal implications of his work. He has had solo and group exhibitions at numerous national and international venues, and in 2018, he will have survey exhibitions at the Smithsonian American Art Museum and the Museo Tamayo (Mexico City), in addition to launching an artwork into outer space with the Nevada Museum of Art. Paglen is the second member of the SAIC community to receive a MacArthur grant in recent years. In 2015, faculty member in the School’s Photography department, LaToya Ruby Frazier, received the honor. For 150 years, the School of the Art Institute of Chicago (SAIC) has been a leader in educating the world’s most influential artists, designers, and scholars. Located in downtown Chicago with a fine arts graduate program consistently ranking among the top three graduate fine arts programs in the nation by U.S. News and World Report, SAIC provides an interdisciplinary approach to art and design as well as world-class resources, including the Art Institute of Chicago museum, on-campus galleries, and state-of-the-art facilities. SAIC’s undergraduate, graduate, and post-baccalaureate students have the freedom to take risks and create the bold ideas that transform Chicago and the world—as seen through notable alumni and faculty such as Michelle Grabner, David Sedaris, Elizabeth Murray, Richard Hunt, Georgia O’Keeffe, Cynthia Rowley, Nick Cave, Jeff Koons, and LeRoy Neiman. For more information, please visit saic.edu. The John D. and Catherine T. MacArthur Foundation supports creative people and effective institutions committed to building a more just, verdant, and peaceful world. In addition to selecting the MacArthur Fellows, the Foundation works to defend human rights, advance global conservation and security, make cities better places, and understand how technology is affecting children and society. MacArthur is one of the nation’s largest independent foundations. Through the support it provides, the Foundation fosters the development of knowledge, nurtures individual creativity, strengthens institutions, helps improve public policy, and provides information to the public, primarily through support for public interest media. The past several years have witnessed a surge of interest in practices at the intersection of art and technology, a phenomenon well documented by the proliferation of exhibitions and edited volumes being produced on the subject. New Media Futures: The Rise of Women in the Digital Arts, a book edited by Ellen Sandor (MFA 1975, HON 2014), Janine Fron, and Donna J. Professor of Art and Technology Studies Eduardo Kac's 1985 work Reabracadabra is featured in an exhibition The Art Happens Here: Net Art’s Archival Poetics at the New Museum.